Creative Branding Hooks $1M Investment from Shark Tank’s Mark Cuban – StratGo Marketing. Plug-in marketing department services. Founders Brad Schultz, Amy Steadman and Justin Fenchel (left to right) make the Shark Tank pitch for BeatBox Beverages – October 24, 2014. Credit: BeatBox Beverages. Last Friday night on Shark Tank, Mark Cuban invested $1 million in a boxed, wine-based cocktail business. Why? The founders of BeatBox Beverages, launched in 2013, have done a terrific job with creative branding, customer target definition, and positioning. Cuban was sold on the growth opportunity for this fun, lifestyle, experiential brand. Shark Tank filmed the episode in June and BeatBox management had to keep the outcome a secret the past four months. But behind the scenes, Cuban was active with a long strategy meeting, weekly telephone calls and ongoing email communication, the founders told the Austin Business Journal. Bottom line: If the products taste good — Blue Razzberry Lemonade, Cranberry Limeade, Box A’Rita, and Texas Sweet Tea — BeatBox Beverages looks like a winner. 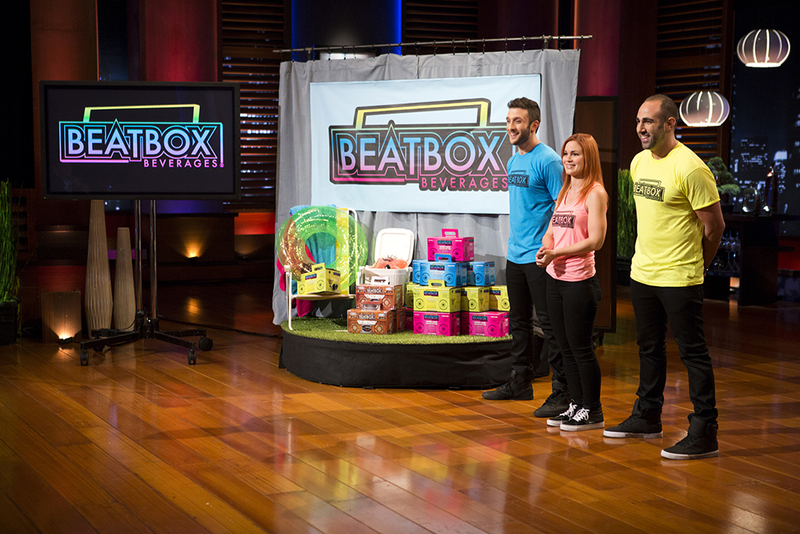 BeatBox Beverages earned a $1M Shark Tank investment from Mark Cuban because the founders created a differentiated concept with clever branding, defined targeting and clear positioning. It’s well-executed marketing discipline in action. Hi, could you please tell me what Beatbox’s Marketing strategy was afterwards? How did they manage to keep growing and reach out to more people in a short period of time? Do you think in the current wine industry use of data and technology would benefit more than the traditional marketing? if so, how? Thanks! I did some quick research for you. BeatBox Beverages has grown via expanded retail distribution; festival and event marketing; new products; and by adding professional sales management talent.